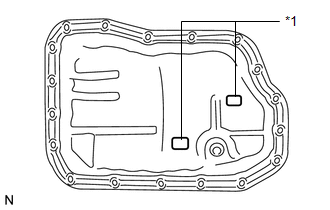 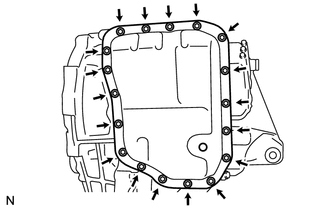 (b) Remove the automatic transaxle oil pan gasket from the automatic transaxle oil pan sub-assembly. 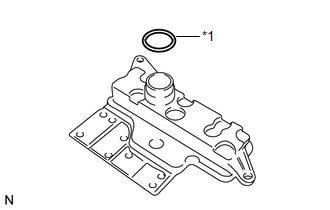 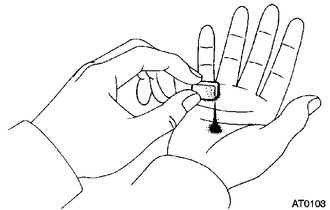 (c) Remove the 2 transmission oil cleaner magnets from the automatic transaxle oil pan sub-assembly. 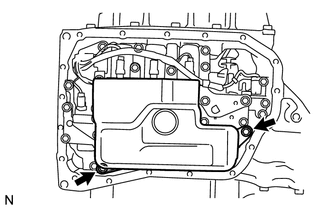 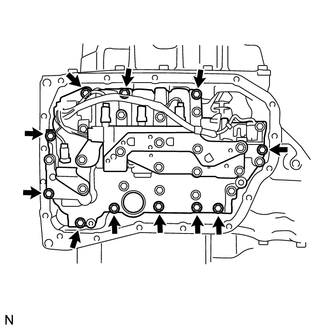 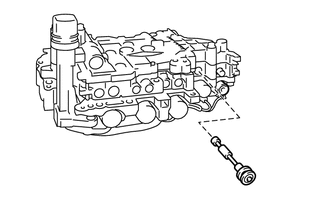 (d) Examine particles in the automatic transaxle oil pan sub-assembly.